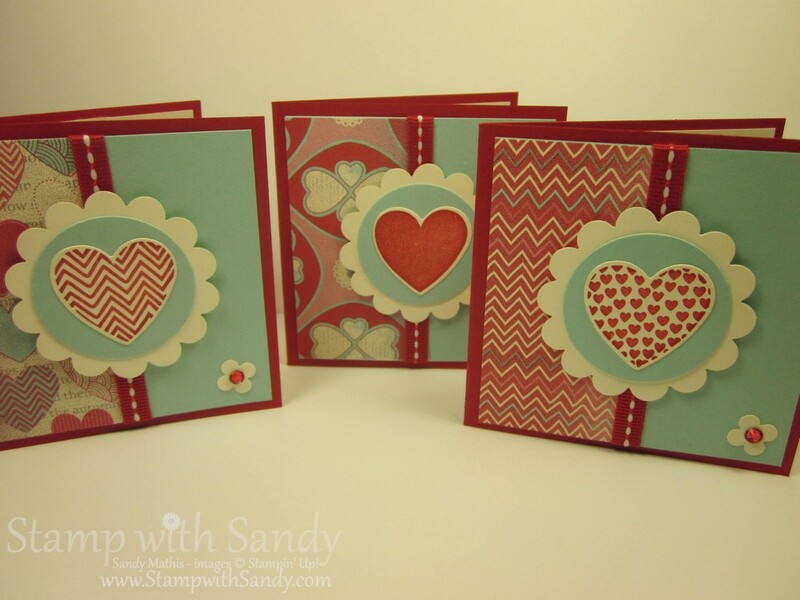 Stamp with Sandy: Valentine Love Notes plus Two New Promotions From Stampin' Up! Valentine Love Notes plus Two New Promotions From Stampin' Up! Greetings, Stampers! I have lots to talk about today! I have a fun project to share with you, and then I want to tell you about two new Stampin' Up offers. This is a long post so I'll skip the small talk and get right into it. This is another of the projects we made in my Valentine's Day Class last week. This is a set of three 3" x 3" love notes and a matching box to put them in. 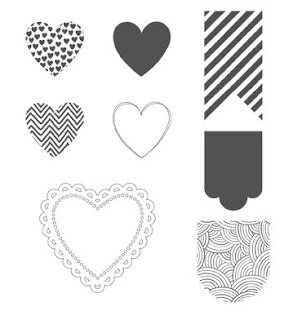 They feature the Hearts a Flutter Stamp Set and More Amore Designer Series Paper. I love these colors for Valentine's Day, so fresh and modern. Aren't these little cards the cutest? 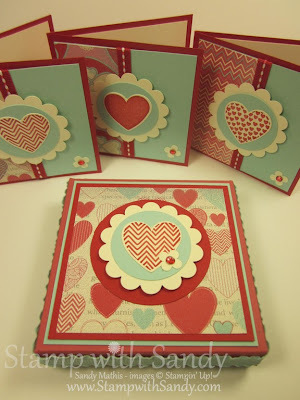 The heart images were stamped and then cut out with the coordinating Hearts a Flutter Framelits. Little scraps of DSP adorn the front, as well as a rhinestone colored with a red Sharpie. These are so quick and easy to make, and just the right size to tuck into someones lunch bag. 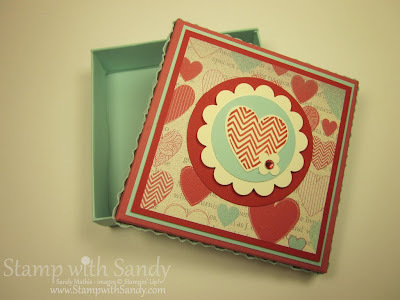 A coordinating box is just large enough to house the three love notes and envelopes. The lid is trimmed in Pool Party Ruffled Ribbon. After you give your love notes away, you can use this as a small gift box, perfect for jewelry, or keep it for yourself! Now, for a couple exciting new Stampin' Up announcements! It's a magical paper escape every month! With My Paper Pumpkin, you'll get a complete surprise project kit delivered to your door. It includes all the stamps, ink, paper and accessories to create projects like cards, journals, home decor and more. It's a program that anyone can enjoy! It's so easy to get started. Simply sign up for the program starting Monday, January 14 by visiting www.mypaperpumpkin.com and click Get It. To learn more, click here. 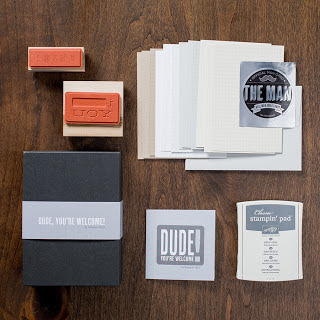 Basically, the kit includes everything to create a perfect card that anyone would adore, all packaged in an appopriate masculine box. These are adorable! I love the colors/papers and design.